I encourage looking within, open inquiry, and respect for the unique way the mystery unfolds in each of us. Guiding students to cultivate awareness of a deepened field of intelligence, my approach is experiential, fluid, and non-linear encouraging expansion of breath, attention, perception and inner listening. By refining attunement to the felt sense, the poses, breathwork, and moving and seated meditations become fluid forms for exploration and deepened awareness, inviting an open ended, bodily-based inquiry into our True Nature. My work draws upon 35 years of practice and teaching from which an eclectic approach to yoga, meditation and life has emerged. 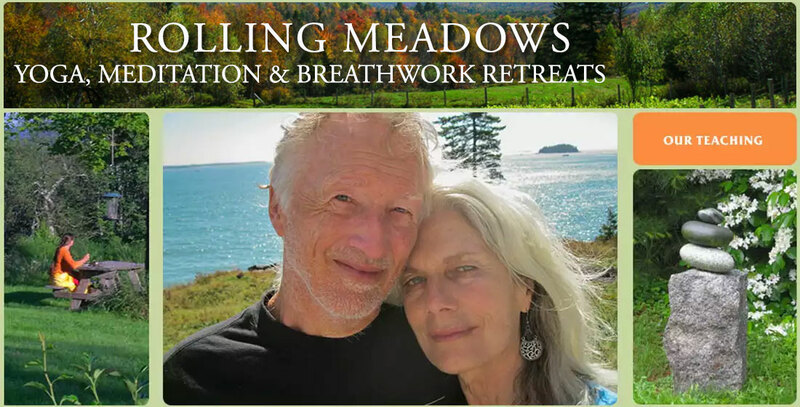 I am interested in guiding others to uncover the deep rivers of their own knowing, drawing upon classical Hatha yoga, including vinyasa, yin yoga and restorative yoga; Breathwork; Sacred Movement; Continuum Movement; Vipassana meditation; and Self-inquiry as portals to open, inform, release, rejuvenate and attune. I enjoy the subtle, enlivening, self-referenced, healing experience which arises from practice and witnessing others develop and trust their unique embodied way of opening to the mystery behind creation… those moments when fluid resonance with Source is once again experienced and invited to be absorbed and infused into our lives. My intention is to gently guide us back to the present moment; to direct our attention to the always available spacious presence of our true nature; to support us to listen to the deep intelligence of our bodies; to trust a wisdom and understanding that is beyond conditioned thought and to encourage us to listen to and trust our own knowing rather than an outer authority. I invite us to inquire into the ways we may integrate the insights gained on retreat and the deep teachings of yoga into the fabric of our daily lives after retreat. Yoga asana (postures), breathwork, meditation, pranayama, yoga nidra, restorative postures, self-inquiry and silence are offered in support of this turning toward and resting in the peace and wisdom of our natural state, beyond and beneath our conditioning. I consider yoga at its best to be the exploration of Love and Compassion. I have personally found that silent retreat provides the most supportive and restful environment for learning to be present for ourselves as we are and and life as it is. By consciously learning to listen to the body and open to long-held patterns, a deeper knowing which is always present reveals itself. We may call this Awareness, Presence, Love or the ordinary tenderness of our True Nature.